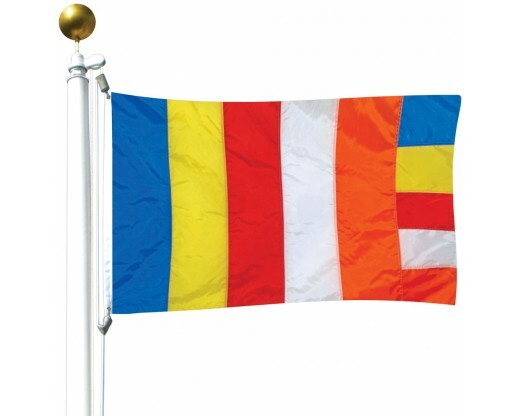 The First Buddhist flag came into use on April 28th, 1885 (Vesak Day). It flew at the Dipaduttamarama, Kotahena, by Ven. 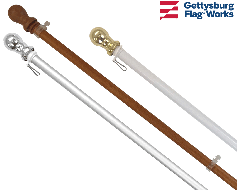 Migettuwatte Gunananda Thera. 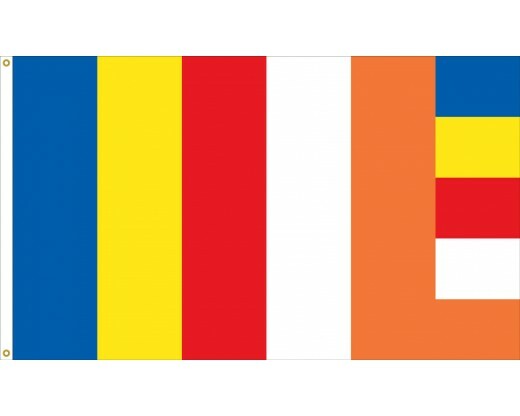 The Buddhism flag was designed by the Colombo Committee in 1885. The committee included Ven. Hikkaduwe Sri Sumangala Thero, Ven. Migettuwatte Gunananda Thera, Don Carolis Hewavitharana, Andiris Perera Dharmagunawardhana, Charles A. de Silva, Peter De Abrew, William De Abrew, H. William Fernando, N. S. Fernando and Carolis Pujitha Gunawardena and the meeting was held in Sri Lanka. 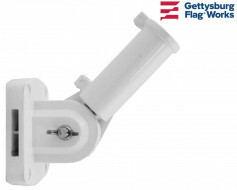 In 1889, Colonel Henry Steel Olcott, an American journalist, suggested that it's shape be modified to conform with the more common rectangular flags of modern countries. 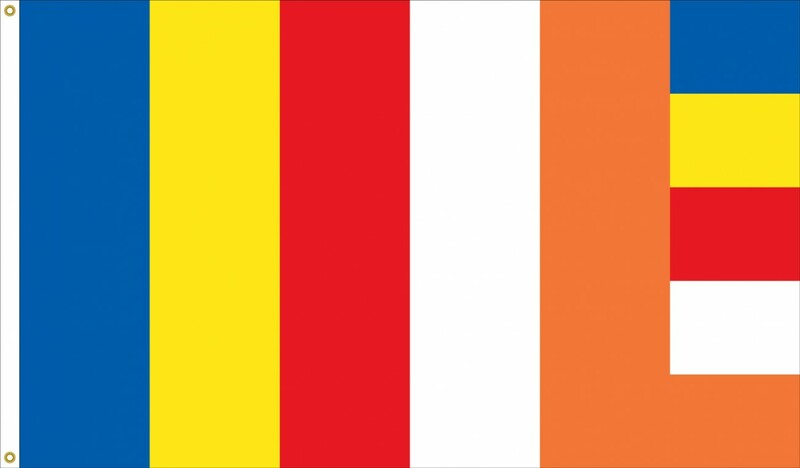 It was changed, and at the 1952 World Fellowship of Buddhists, the flag of Buddhists was adopted as the International Buddhist Flag.